Here, translated into modern idiom, are many works of the authors whose ideas have consitituted the mainstream of classical thought. This volume of new translations was born of necessity, to answer the needs of a course in Greek and Roman culture offered by the Department of Integrated Liberal Studies at the University of Wisconsin. 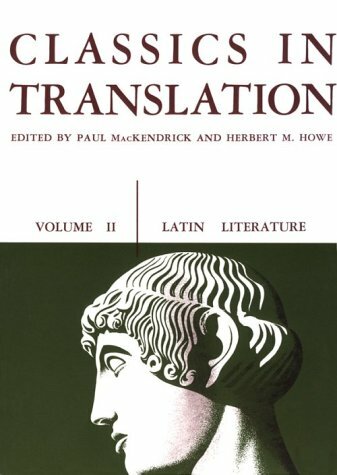 Since its original publication in 1952, Classics in Translation has been adopted by many different academic insititutions to fill similar needs of their undergraduate students. This new printing is further evidence of this collection's general acceptance by teachers, students, and the reviewing critics.